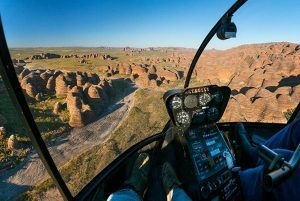 If you didn’t already know, Life’s An Adventure is all about the WOW factor and one of the best WOW’s you’ll get is a scenic helicopter ride. 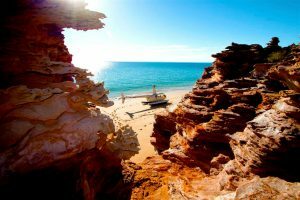 Pack free walks that feature a helicopter flight include: The Three Capes walk, five-day Kimberley, Bungle Bungles and beyond, three-day Great Ocean Walk and the eight-day Cape to Cape and Bibbulmun walk. 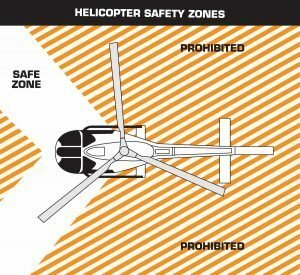 The pilot will give a briefing about rules and policies prior to your helicopter ride. Pay attention. The pilot will tell you when to enter and exit the aircraft and whether you can move around in flight or need to stay in your seat with your seatbelt fastened. Only approach the helicopter after the pilot has signalled that it’s safe. Always approach the helicopter from the front so the pilot can see you. The safest places from which to approach a helicopter are the front left and front right sides. If you approach from the rear of the aircraft, the pilot won’t be able to see you. If the helicopter’s rotors are already turning or about to turn, approach the aircraft with caution. If you are approaching the helicopter on level ground, walk toward the aircraft in a low crouch to allow for extra space between your body and the rotors. Be sure that all personal belongings, such as hats, are secure. Don’t hold anything above eye level because it can be blown away. If an item starts to blow away, let it go. Chasing after it could result in injury. Don’t smoke or run within 20m of the helicopter. Be careful when exiting the helicopter. Follow the pilot’s instructions and exit only when told that it is safe to do so. That’s it really! Happy hiking and happy flying!